The Himalayan SU rack has our new Point1 pressed insert design. This adds to the ease and functionality you have come to expect from our pannier systems. Details HERE. The Himalayan SU rack design include the inner tool base plates welded in on each side. that fits the handy SU inner tool kit/utility shelf carrier. 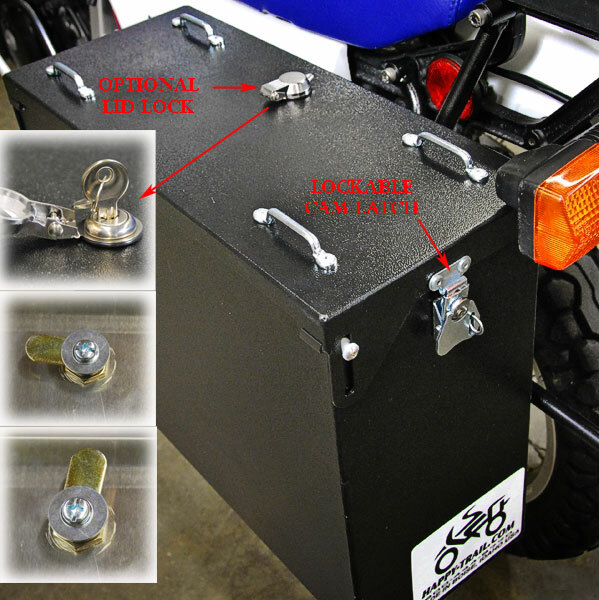 Note: Pannier kit does not include a tail rack, inner tool trays or tool tubes.